I hope you all have a mathematically wonderful 3.14 day. Today is pi day, not to be confused with National Pie Day on January 23rd. 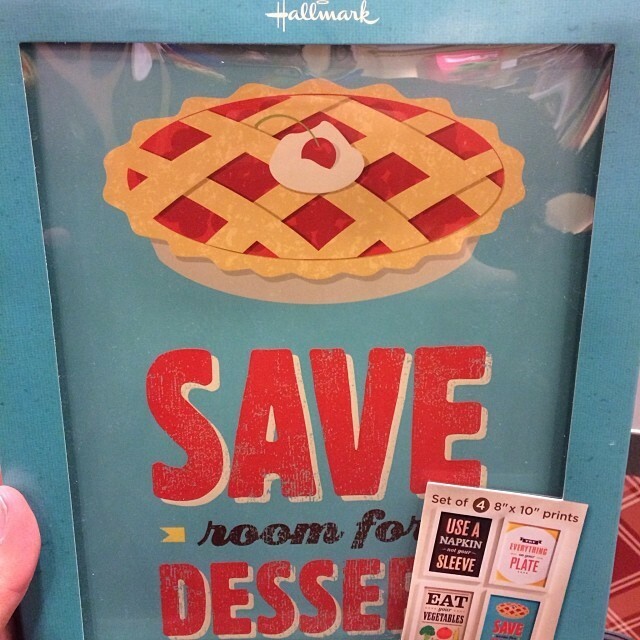 While this day is more about math and less about pie, who doesn’t like another excuse to have a slice of pie? In the summer of 2013, I noticed on Twitter that someone was tweeting about a Kickstarter for a pi pie pan. I was really excited as when I previously made a pi shaped pie, I had to make the mold myself from aluminum foil. Pi Pie Pan supporter Garrett Heath (@pinojo) reached out to me and asked if I would like to try one of these new pi pie pans. Of course I said yes! These pans are great. 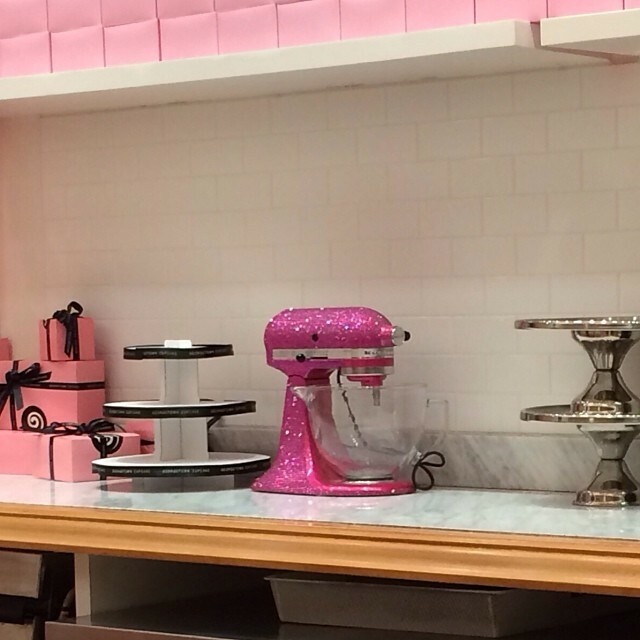 You can use them for all sorts of baking wonderfulness. Pies, brownies, quiches, pan pizzas, the pie is the limit with these pans! And no, they did not pay me to say that, nor did they ask me to write this post, I am just excited that a quality product like this exists. 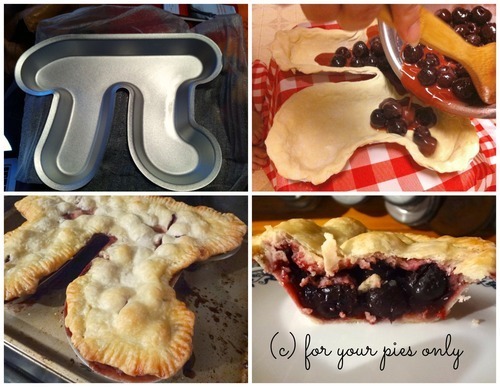 So if you are in the market for some wonderful and irrational pi(e), this pan is for you! When making pies with this pan, my only advice would be to make a bit extra filling. In this cherry pie recipe, it originally calls for 4 cups of cherries, but I used 6 for the actual pie to fill it to the top. You can use the same pie dough recipe that you may normally use. If cherry pie isn’t your style, but you would still like a delicious pie on pi day, you could try making a square pie (get it? pi r squared?) and try this square Shepherd’s Pie which will also help you kick off your St. Patrick’s Day weekend if you’re celebrating. Or you can also head on over to my pal Cam’s blog: ‘Culinary Adventures with Camilla' where she has a full list of different kinds of pies by awesome bloggers. 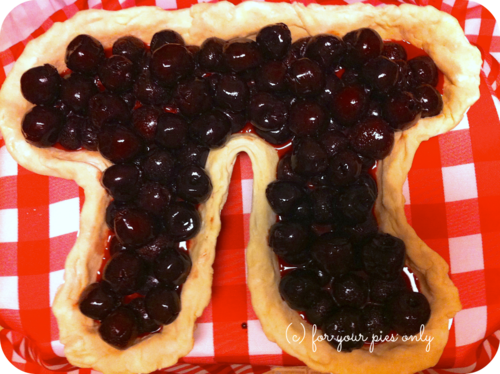 Will you be celebrating pi day? Feel free to link up your pie recipes in the comments! 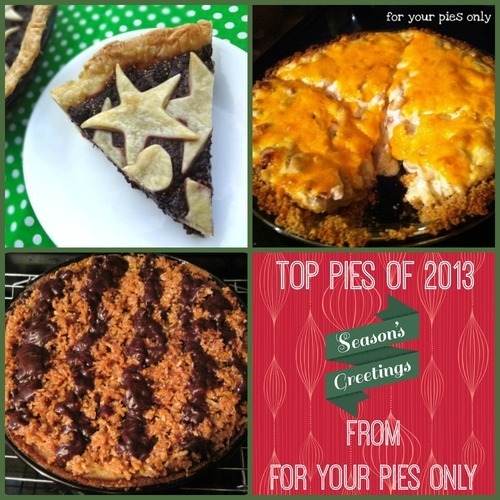 Here are the top viewed pies on ForYourPiesOnly.com this year! 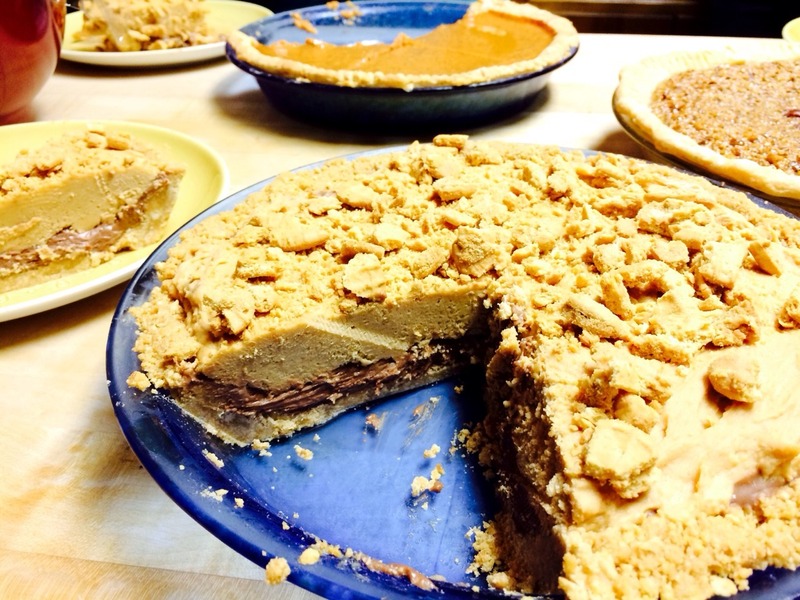 What was the best pie you ate this year? 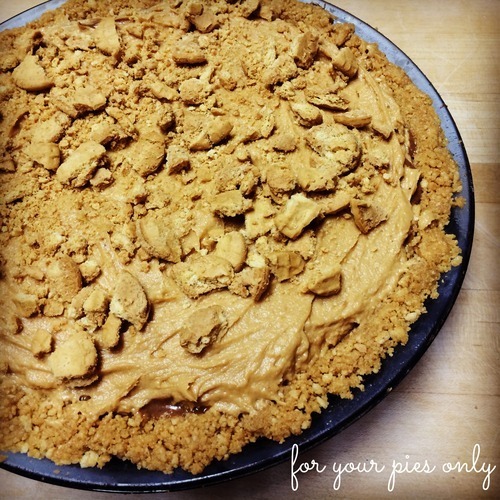 A holiday gift guide for pie lovers and bakers! 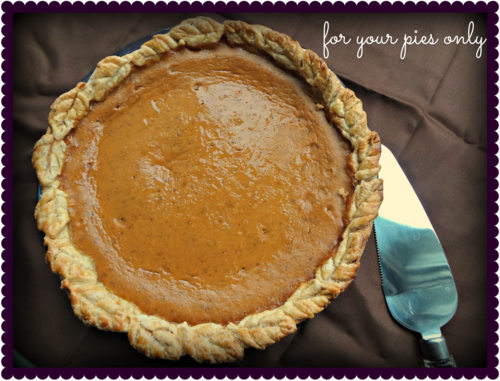 Click play and then hover over the images to find the goodies sure to bring a smile to any pie enthusiasts’ face! 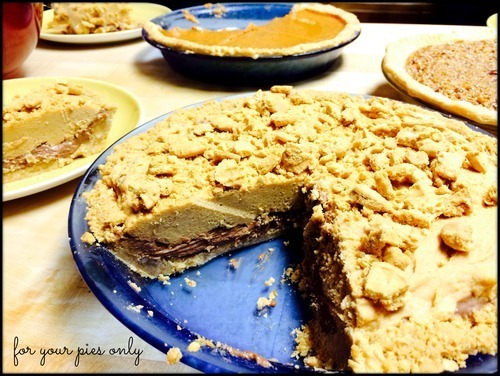 Right before Thanksgiving, one of my Facebook friends posted the recipe for a Nutter Butter Nutella Pie by Crazy for Crust. It looked so amazingly delicious that I decided to make it for Thanksgiving. The results were sinfully decadent. I used a bit more whipped cream in my peanut butter layer than the original recipe called for. And definitely take Dorothy’s (from Crazy for Crust) advice: throw this puppy in the freezer for optimum serving goodness. 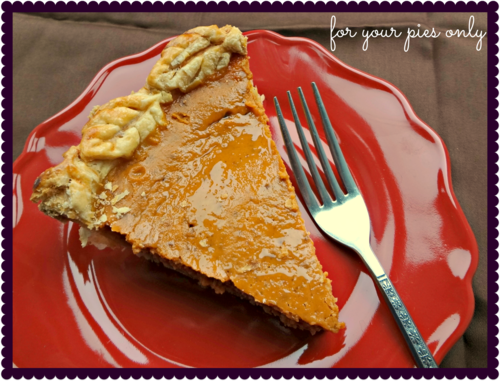 Head on over to Crazy for Crust and check out this recipe and many others…and then run, don’t walk to make this pie. You won’t regret it! It’s never too late for dessert, right? Hope everyone is going to bed with happy tummies tonight. 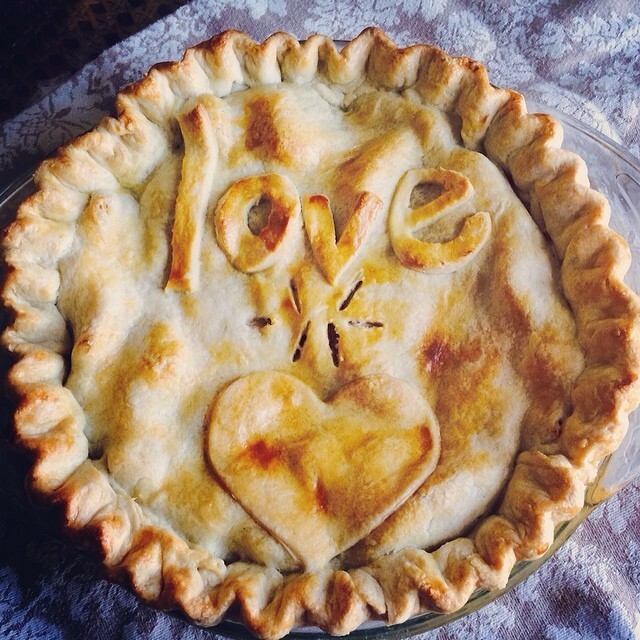 Love and pie to you all! 1. Preheat the oven to 425. Roll out bottom crust and place into 9-inch standard pie pan. 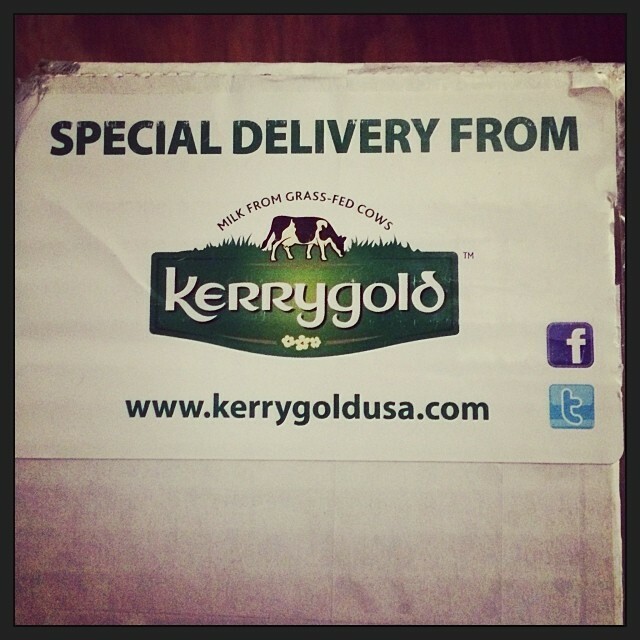 Place in refrigerator. 2. Combine sugar, salt, and spices in small bowl. Beat eggs into a large bowl. Stir in the pumpkin and then the sugary spice mixture. Stir in the evaporated milk. 3. Gently pour the filling into the chilled pie crust. 4. Bake on the center oven rack for 15 minutes. Reduce the temperature to 350, rotate the pie 180 degrees so that the side of the pie facing the back of the oven is now facing the front. Continue to bake for 40 to 50 minutes. If the crust starts to get too brown, cover outer edge of crust with tin foil or use a crust guard.